Successfully aimed at non-economists, [Game of Loans is] clearly written. [It is a] powerful antidote to the stereotypes and myths that have grown up around student loans. College tuition and student debt levels have been rising at an alarming pace for at least two decades. These trends, coupled with an economy weakened by a major recession, have raised serious questions about whether we are headed for a major crisis, with borrowers defaulting on their loans in unprecedented numbers and taxpayers being forced to foot the bill. Game of Loans draws on new evidence to explain why such fears are misplaced--and how the popular myth of a looming crisis has obscured the real problems facing student lending in America. Bringing needed clarity to an issue that concerns all of us, Beth Akers and Matthew Chingos cut through the sensationalism and misleading rhetoric to make the compelling case that college remains a good investment for most students. They show how, in fact, typical borrowers face affordable debt burdens, and argue that the truly serious cases of financial hardship portrayed in the media are less common than the popular narrative would have us believe. But there are more troubling problems with student loans that don't receive the same attention. They include high rates of avoidable defaults by students who take on loans but don't finish college--the riskiest segment of borrowers--and a dysfunctional market where competition among colleges drives tuition costs up instead of down. 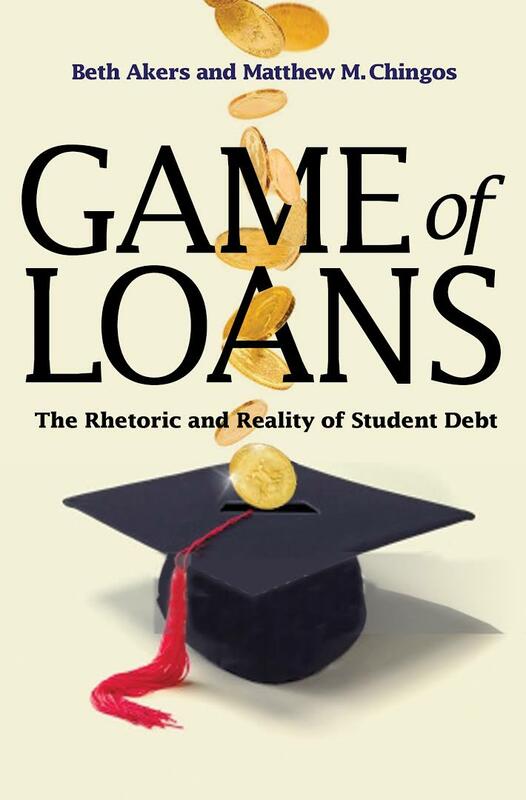 Persuasive and compelling, Game of Loans moves beyond the emotionally charged and politicized talk surrounding student debt, and offers a set of sensible policy proposals that can solve the real problems in student lending.